Qiantu Motor's K50 electric vehicles on display at the Guangzhou auto show in China in Nov. 2018. 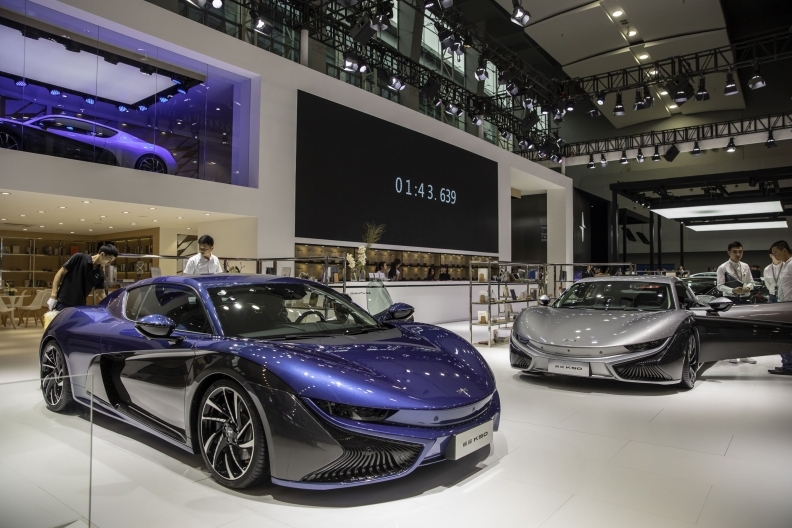 Chinese electric vehicle startup Qiantu Motor plans to assemble vehicles in North America in cooperation with Mullen Technologies Inc., a Southern California-based EV maker and car dealer. Under a preliminary agreement signed with Qiantu Motor, Mullen will homologate, assemble and market the Qiantu-brand K50 electric sports car in North America, Mullen said. The Qiantu K50 is a 402-bhp full electric car with aluminum frame and carbon fiber body closures, according to Mullen. By importing assembly-ready components from China and using key components sourced from the American market, the K50 will be made available to North American consumers in 2020 “at an unexpectedly affordable cost,” Mullen said. Mullen also owns CarHub, a digital platform for buying, selling and owning a car. The partnership with Qiantu will also leverage Mullen’s direct retail and auto commerce digital capabilities. Additional details on the Qiantu K50’s production or distribution in North America were not disclosed. Qiantu Motor was established in 2015 by CH-AUTO Technology Co., a Beijing-based auto design firm. Its plant in the east China city of Suzhou can produce up to 50,000 vehicles a year. The K50 is Qiantu’s first product. It went on sale in China in August with a starting price of 754,300 yuan ($109,320) before government subsidies in China. The China-built K50 has a range of 380 kilometers on one charge, according to Qiantu Motor.